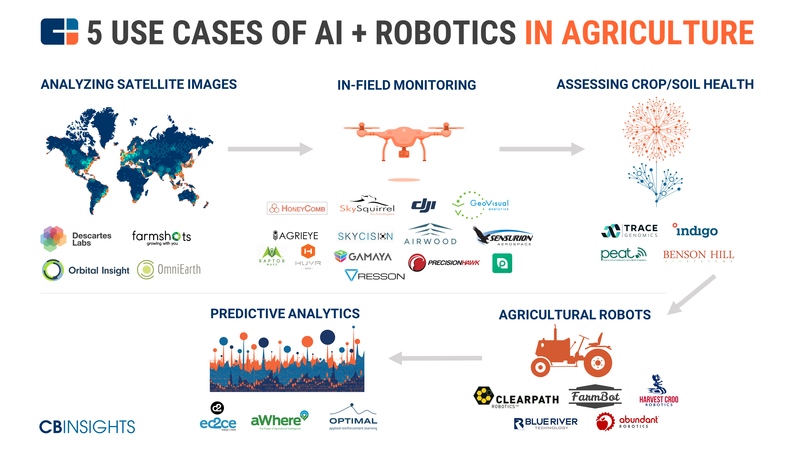 July 2017, Boulder, CO – GeoVisual has been featured in CB InSight’s market map of startups that collectively have raised over $500M to bring AI and robotics to agriculture. CB InSights searched its industry database to identify robotics and AI companies working in agriculture and divided them into 5 broad categories depending on their area of focus. GeoVisual was placed in the In-field Monitoring category, which includes drone manufactures with a focus on agriculture, as well as startups working on computer vision algorithms to process the data captured by drones and other on-field cameras.